The Houston Airport System announces Perry J. Miller, A.A.E. 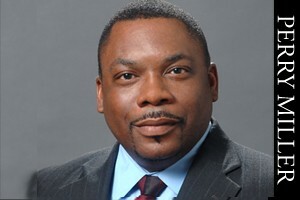 as the new general manager for William P. Hobby Airport (HOU). Miller was appointed by Mario C. Diaz, director of aviation for the city of Houston. He oversees the daily operations of the facility and the development and implementation of policies and procedures. Miller will coordinate the preparation and monitoring of the Hobby Airport budget and expenditures. Miller joined the Houston Airport System in 1991 and quickly climbed the ranks. Prior to his current position, Miller was the acting senior airport manager for George Bush Intercontinental Airport (IAH). He held a wide range of positions including assistant director of maintenance, where he commanded a team of hundreds that anticipated the needs of passengers, pilots, flight attendants, visitors and personnel associated with the 19 domestic and international air carriers that operate at IAH. Miller also served as general manager for Ellington Airport, senior superintendent, airport properties representative, airport supervisor, airport business development coordinator and management analyst. Miller’s interest in aviation began as a child when his uncle took him to his first air show at Ellington Field. During his 20 year aviation career he has become an accredited executive of the American Association of Airport Executives (AAE). Miller obtained his Bachelor of Science degree in Airway Science-Management from Texas Southern University in 1990. He also holds a Master of Science degree in Transportation Planning and Management. He is a graduate of Airport Management Professional Accreditation Program (AMPAP) and is designated as an International Airport Professional (IAP).